Pocket.watch CRO Stone Newman tells Kidscreen about the company's upcoming CP plans for its YouTube creator partners, including EvanTubeHD (pictured). California-based kids media brand Pocket.watch has inked a raft of North American licensing agreements on behalf of its partners, which include YouTube creators Ryan ToysReview, EvanTubeHD, JilianTubeHD and HobbyKidsTV. To that end, Pocket.watch is starting things off with North American deals with Franco Manufacturing (which will launch bedding, bath and home décor inspired by all of Pocket.watch’s partners later this year), as well as with KidDesign to create a line of walkie-talkies, a collection of headphones and electronic toys inspired by Ryan ToysReview. 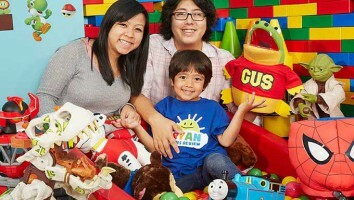 Additionally, Taste will develop a range of bath products also inspired by Ryan ToysReview, plus range of cosmetics and beauty products based on JillianTubeHD. ORB, meanwhile, has signed a portfolio deal to launch a dedicated Pocket.watch activity line (including drawing toys, compounds, stickers, stamp kits, reusable ink, activity kits, craft kits and slime) later this year. ORB will also create an exclusive line of its Soft’n Slo Squishies collectibles range inspired by Ryan ToysReview, EvanTubeHD, JillianTubeHD and HobbyKidsTV. 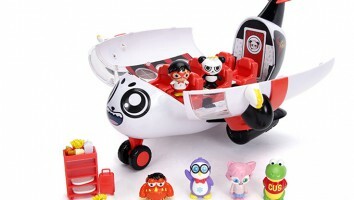 Through its own Pocket.watch Toys banner, the company will also introduce a line of Ryan ToysReview-branded kits, gliders and parachutes created by Brainstorm Products. Under the Pocket.watch Games umbrella, Buffalo Games will create a Pocket.watch board game and a card game called Watch This Game! Earlier this year, Pocket.watch signed its first slew of licensing agreements to extend its creator partner brands into consumer products. 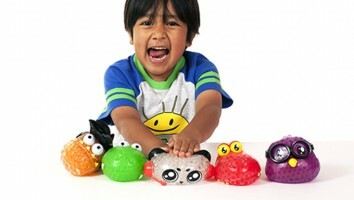 Those deals included a master apparel agreement with The Bentex Group and a toy licensing agreement with Bonkers Toys. Previously, the company partnered with Simon & Schuster Children’s Publishing division Simon Spotlight to create a Pocket.watch book imprint. Pocket.watch—which was founded by former Maker Studios chief audience officer Chris Williams, Albie Hecht and Jon Moonves last year—creates, acquires, distributes and curates content for children ages two to 11 across a variety of platforms. Newman, who was formerly president of global consumer products licensing, worldwide content sales and marketing at Genius Brands International, joined the startup last August.